One of the Perth Mint’s most popular annual releases is the Silver Australian Koala coin, which debuted in 2007. Like its many counterparts from Perth, it has a new reverse design each year and features one of the continents beloved native species. 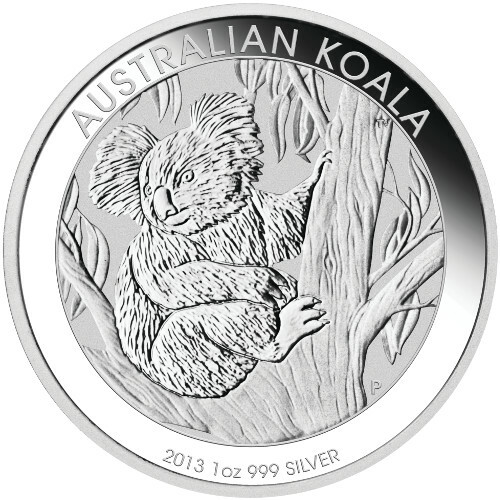 Right now, the 2013 1 oz Silver Australian Koala Coin is available to purchase online at Silver.com. Seventh release of the Silver Australian Koala coin! Reverse bears the 2013 image of the Koala. The Silver Australian Koala coin debuted in 2007 as the second major silver bullion coin to be released annually by the Perth Mint. The first was the Silver Kookaburra, introduced in 1990, and there’s also the Gold Australian Kangaroo, though it is only available in gold while the former two are available in gold and silver. Each 2013 1 oz Silver Australian Koala Coin in this product listing is in BU condition. Coins in BU condition exhibit no signs of wear and tear, though you may notice minor flaws such as breaks in the luster, spotted surfaces, or contact marks from the coining process. 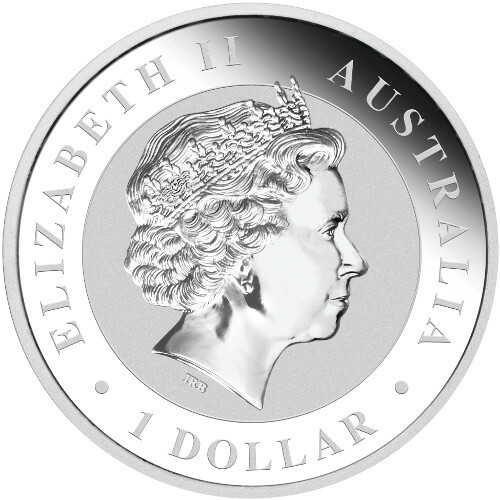 On the obverse of the Silver Australian Koala you’ll find the right-profile portrait of Queen Elizabeth II. Her Majesty’s effigy appears on the obverse of all Australian coinage, and this 1998 design from Ian Rank-Broadley is the fourth-generation depiction of the Queen since she ascended to the British throne in 1952. 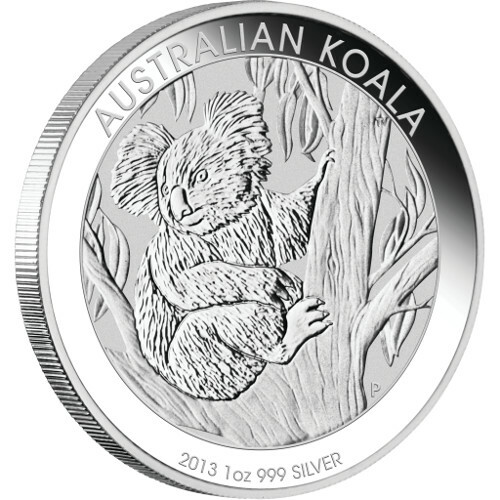 The reverse of the 2013 1 oz Silver Australian Koala coin includes the exclusive 2013 Koala design. Commonly referred to as a koala bear, the koala is actually a nocturnal marsupial that spends up to 20 hours each day asleep. Though cute and cuddly in appearance, the koala is capable of defending itself with sharp claws and teeth. Perth Mint is a state-owned entity of Western Australia, and was originally opened as part of the British Royal Mint system in Australia. Since 1965, the Perth Mint has existed separately of the sovereign Royal Australian Mint and enjoys legal tender status for its coins. If you have any questions, please don’t hesitate to ask. Silver.com associates are available on the phone at 888-989-7223, online using our live web chat, or via our email address.